A lot of cities celebrated Pride this weekend, all over the world. Here are pictures from a few… like Capital Pride in D.C. Despite the festival being overbooked Saturday night, the parade at LA Pride appears to have been awesome. Philly Pride started by raising their version of the rainbow flag with brown and black stripes. 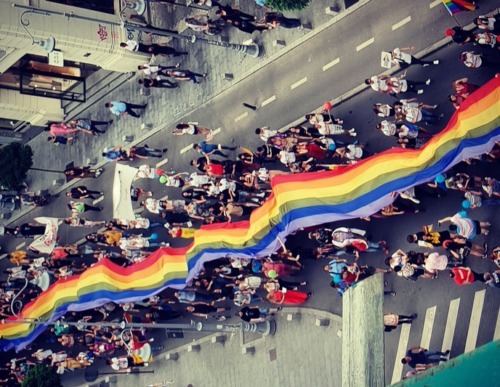 In Warsaw, Poland, Pride was especially poignant this year as thousands took to the streets in the notoriously homophobic country. Pride in Tel Aviv included messages of protest against the oppression of Palestine.